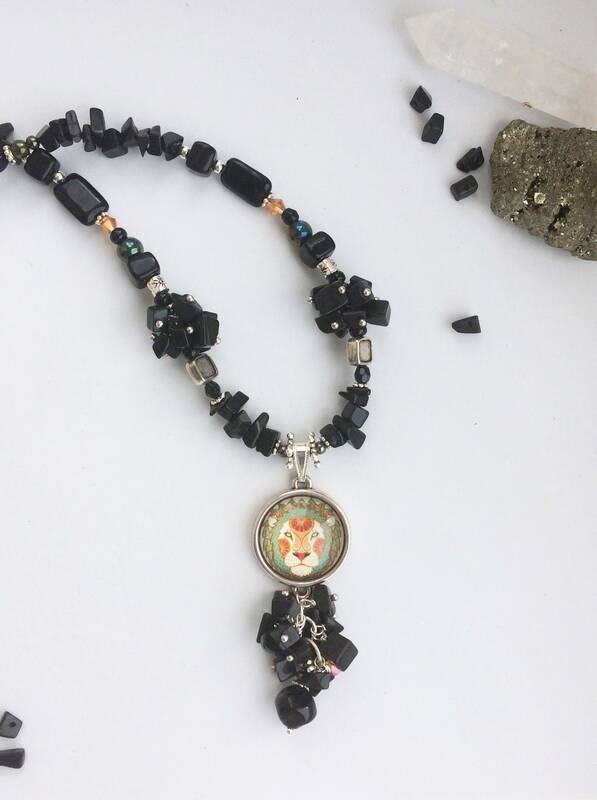 A very unique and special gemstone necklace, with black onyx gemstones and a range of complimentary beads to make a unusual, eclectic and one-of-a-kind item of jewellery. 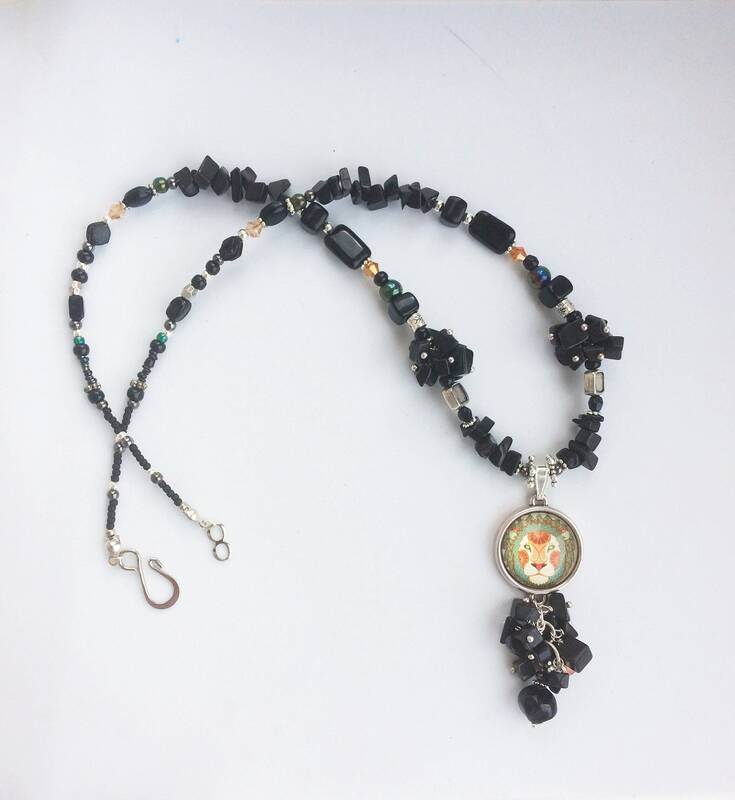 The necklace has a fierce Leo lion pendant. 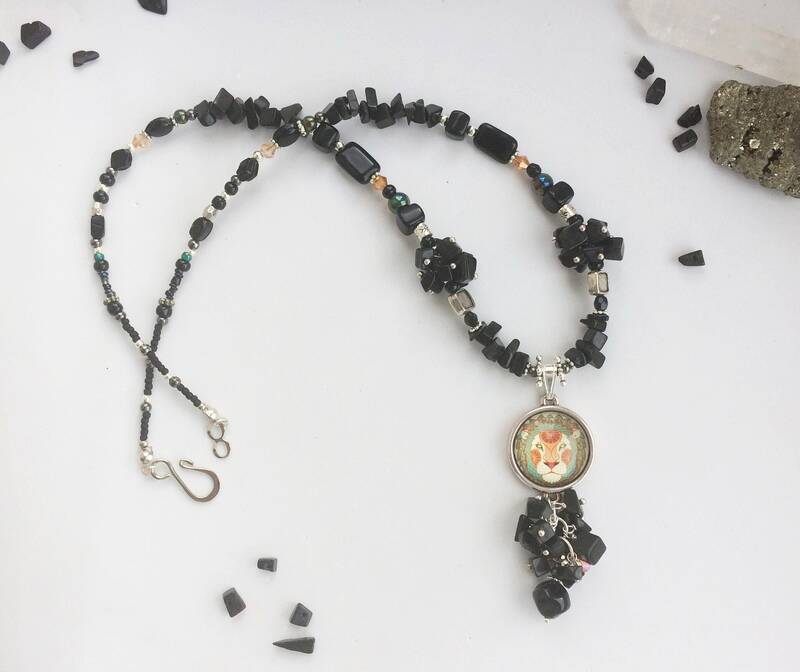 This necklace has a total length of 50cm (19.6") and fastens with a silver coloured scroll clasp. 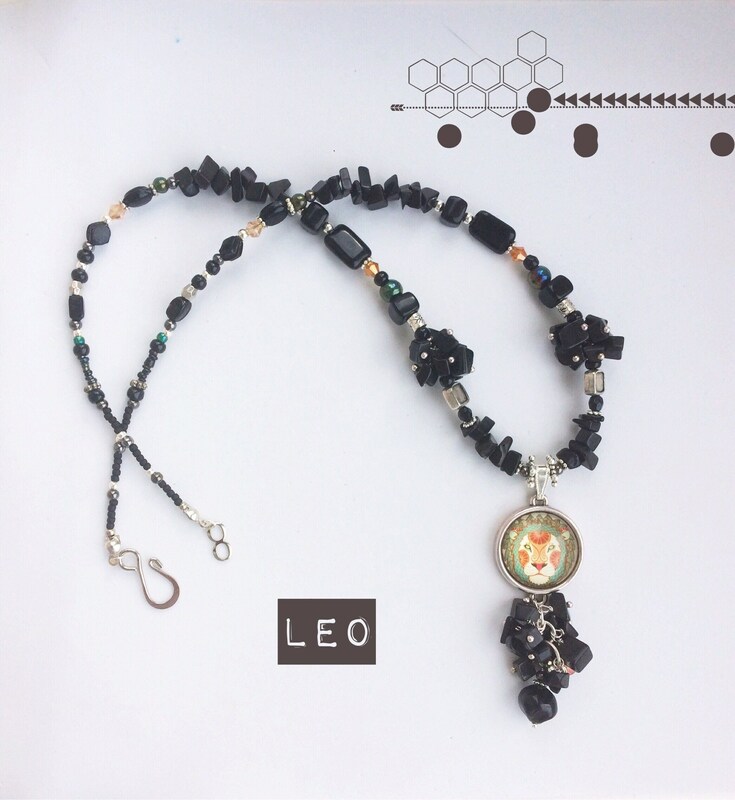 The pendant length (including Leo motif pendant and gemstone/bead embellishment) is 7cm. The motif pedant alone measures 2cm. 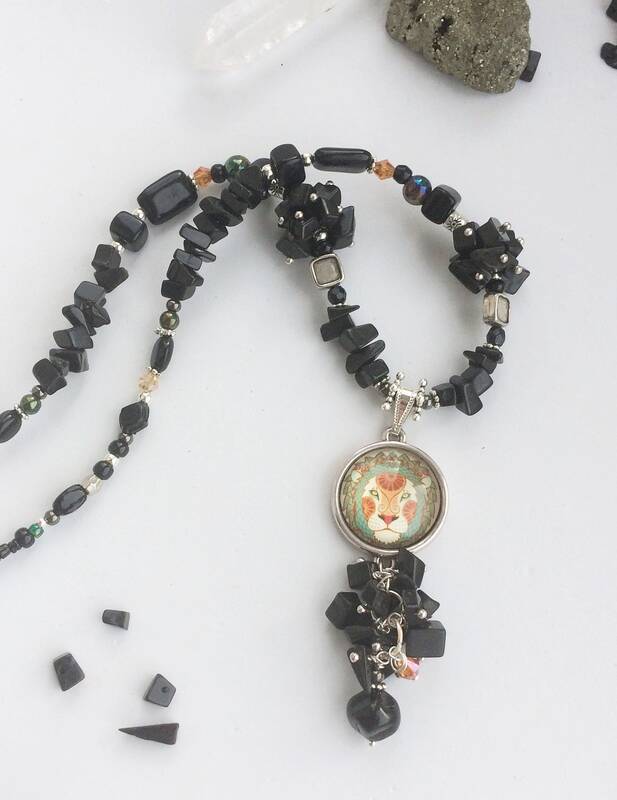 This necklace is comprised of onyx gemstone beads, the Leo gemstone associated with powerful protection. 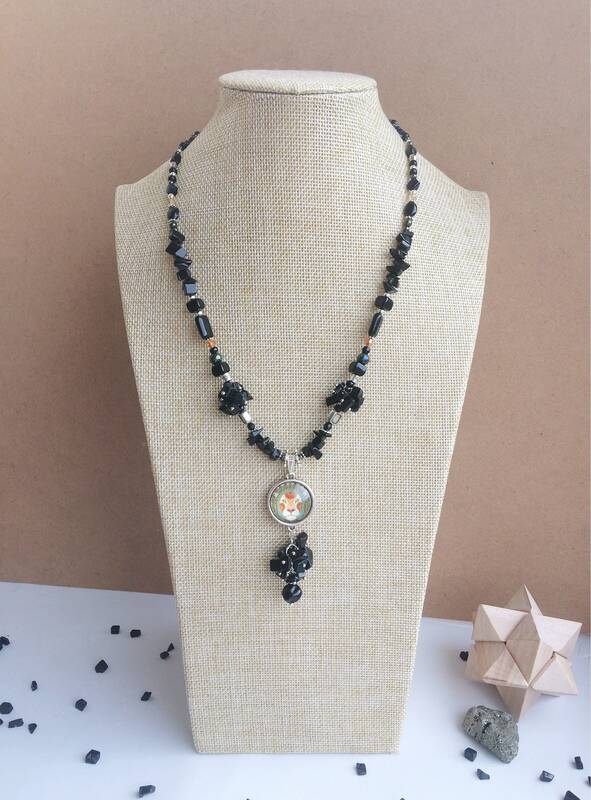 The necklace has tumbled onyx chip beads and complimentary beads in range of silver, antique silver, black, orange and metallic green strung in a tapering size arrangement creating a beautifully balanced and delicate, yet striking, design. 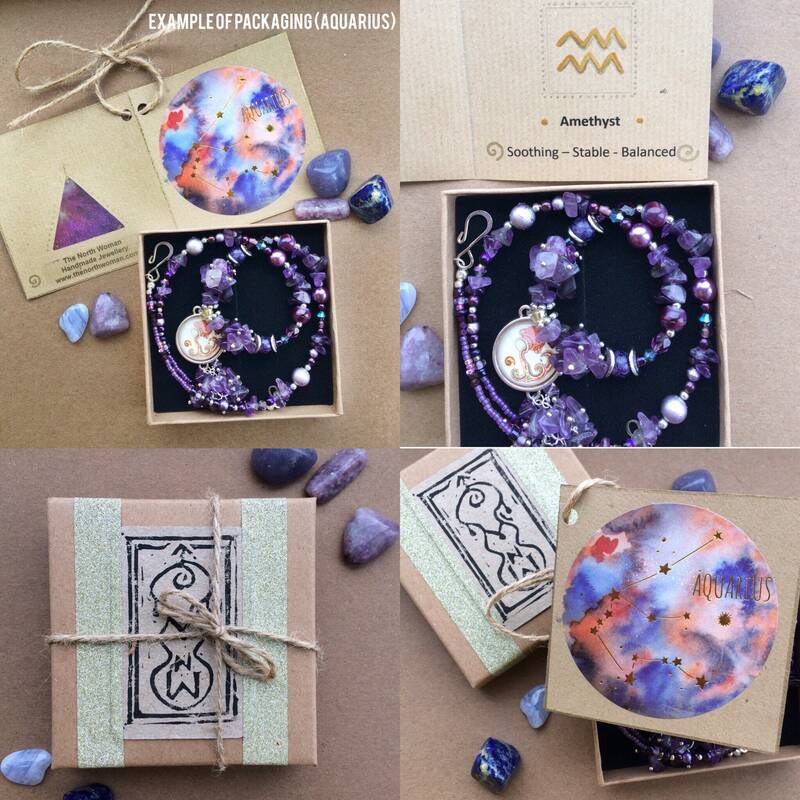 The necklace makes a perfect July/August birthday gift and comes beautifully presented in a hand-finished gift box with a illustrated astrology card and keepsake.